The traditional construction material timber has freed itself from the image of the temporary and the alpine and, thanks to innovative wood technology, has arrived in a “new dress” in the city! Through the development of industrial manufacturing techniques and load-bearing, easy-to-work timber materials, even large and complex structures can be produced economically. 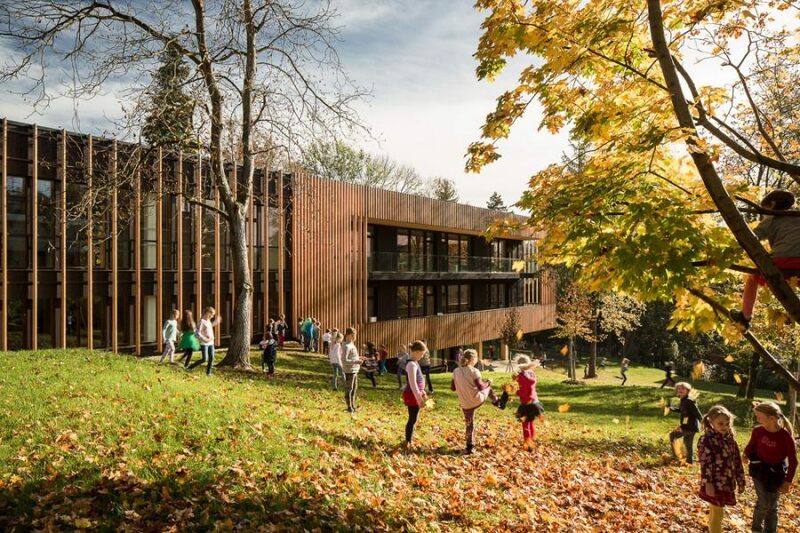 More and more new school buildings are in wood or in mixed materials including timber, as it happens with Mariagrün Primary School, by architects Berktold & Kalb. Copyright: K. Hörbst. The Austrian state of Styria is covered by more than 60% of forest. 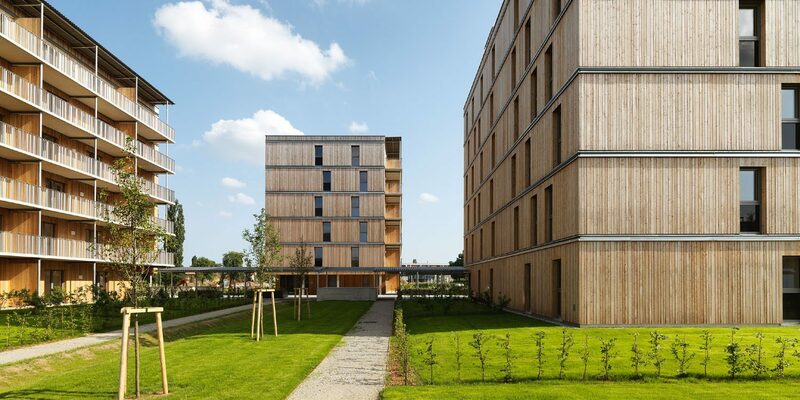 The University of Technology in Graz, the timber research institute Pro Holz and some innovative companies have taken an international pioneering role in the development of solid wood products such as cross laminated timber (CLT). Of the 5.4 million cubic meters of timber harvested each year in Styria, 65% is exported as prefabricated load-bearing timber elements to all over the world, for example to earthquake-prone Japan. 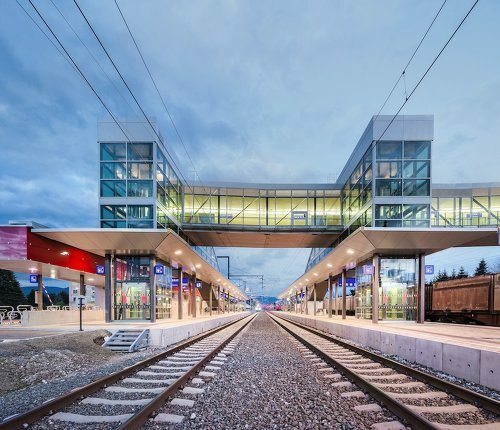 In a highly sensitive environment, high above the trains, the Hohensinn architecture office created this wooden skywalk, extremely wide spanned, Copyright: R. Bönsch. The advantages of the material – its availability, low weight, insulating effect, high degree of prefabrication – aren’t only suitable for urban densification such as loft conversions and renovations. Cross laminated timber is also used efficiently in bridge structures and housing buildings. A six-storey social housing construction with passive house standard was built in 2016 in Graz. Due to the high demands on static rigidity, acoustic decoupling and fire protection, timber was used as primary structure and supplemented by circulation cores, basement floors and building service wells made of reinforced concrete. 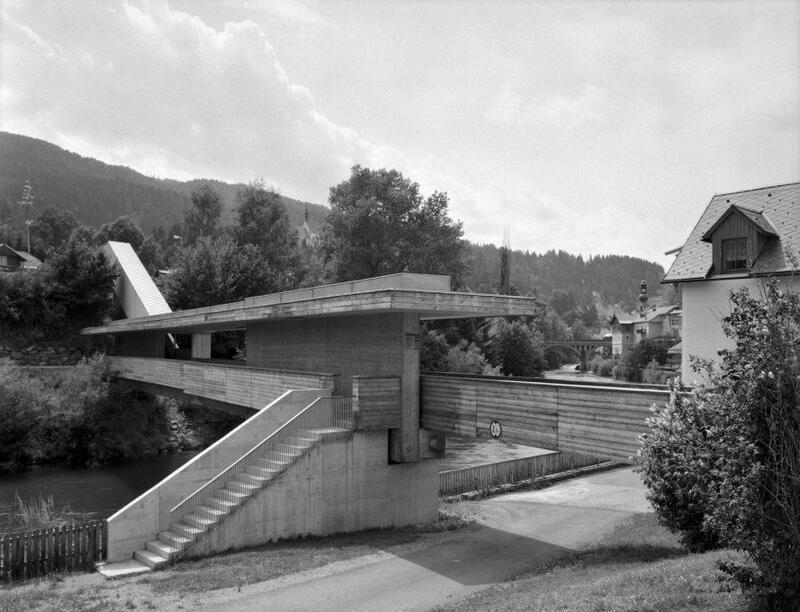 Already a classic: the pedestrian bridge Murau from international known architects Meili – Conzett. Copyright: P. Eder. One essential thing timber can do better than any other material: its natural strength lies in its sensual and atmospheric qualities, which considerably improve the indoor climate in living and working areas. In Graz and the surrounding region, these unbeatable advantages of timber are convincing in many built examples of recent years. In both urban and rural areas, cross laminated timber is used in social housing, retirement homes, award-winning schools, company buildings, student residences, building-extensions and renovations. All this with the synergistic effect that timber, as a renewable and versatile raw material that binds carbon dioxide, easily stands up to conventional construction methods in a comparative analysis of lifecycle costs and assessment. 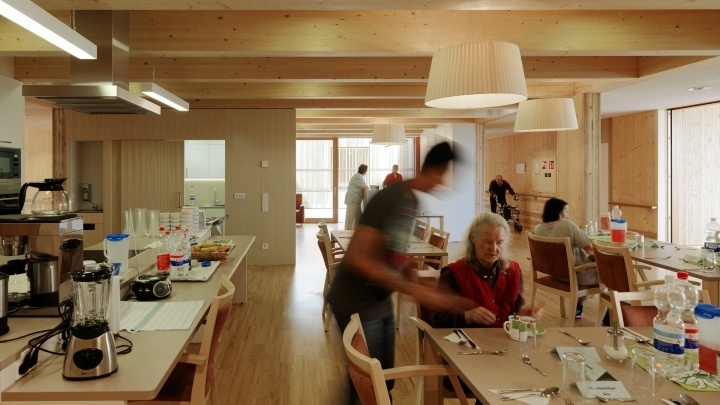 Best practice for a retirement home: wood’s natural strengths lie in its sensual and atmospheric qualities. Architect: Dietger Wissounig. Copyright: P. Ott. Therefore, not only the users, but also public developers in Styria have become “wood afficionados”. The number of solid timber construction is constantly increasing with new projects. And future-oriented experts from Germany, Switzerland and especially from Scandinavian countries admire the latest wood technology constructions in their premium tours with Architektouren Graz Ljubljana. Text: Birgit Androschin and Karin Tschavgova from “architektouren-graz/ljubljana”, Guiding Architects member in Graz and Ljubljana. First image: The right material even for low cost buildings: social housing construction in cross laminated timber by architect Simon Speigner. Copyright: P. Ott. I love that type of architecture!